No big news regarding the novel-writing at this point. I’ve been busy reworking the reworks. Tried half a dozen more ways to do the opening pages and feel like I’m getting closer on that. For a long time I leaned on having a sort of prologue opening, but decided to cut all but four pages of that, as it seemed to be more of a crutch for me as writer than anything that might interest a reader. Always a tricky business figuring out what actually needs to be on the page and what needed to be written for the writer only. Getting closer though. There was some more tangible news related to The Uninitiated over the season though, as Boulevard published an excerpt of the novel in October, titled “River Ward, 1917.” This is the first bit of writing from the novel that’s been published, so definitely exciting news there. 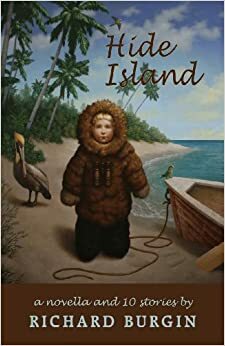 Meanwhile, in December, another excerpt, “On the River, Down Where They Found Willy Brown,” brought home the Marianne Russo Award from the Key West Literary Seminar. Among the many benefits are free travel and lodging at this year’s seminar, the opportunity to read my work as part of the regular program at the seminar, and an 11-day stay in Key West. It will be sad to miss over a third of Nebraska’s January, but somehow I’ll soldier through. These two things, along with a fellowship to Akademie Schloss Solitude, winning the Tarcher/Penguin Top Artist contest, a long-list notice in the Inkubate novel contest–all of which was based on work done for The Uninitiated–makes me hope I’m on the right track here. There was more publishing news in November, as Five Chapters accepted “Impertinent, Triumphant” for publication. The story will run sometime in March, probably. Really looking forward to that too. Also, some interesting thoughts on living abroad are offered here in this article. Finally, congrats to emily m. danforth and her novel The Miseducation of Cameron Post for taking the “Woman Writer” award at the High Plains Book Awards. So happy for emily and all of her success. “Tom thought it over as he paced the brick drive that led up to his house, two days after the vote. Bullet straight and tree-lined, the drive gave the impression of something fantastic as his house slipped into view, large and unreachable, a mirage. The house was wood-framed with finishes of granite at certain edges, the cellar and foundation limestone, highlights of plaster festoons above the front door. A few chimneys rose above beveled eaves. Off the second floor bedrooms were balconies as wide as the patios below, where a tiered-garden overlooked the industrial valley. There were pergolas holding grape vines, arbors abloom with creeping red ivy. Everything here was made for entertaining, for looking at, for admiring, but up close these spaces didn’t serve any purpose. This was an unpeopled luxury, a lonely glutton of riches in and of itself. If Tom was being honest, he had to admit this. The 42nd Parallel by John Dos Passos. I’d always avoided the USA Trilogy for some reason. Dos Passos is so often only a foot-note to Hemingway among the great writers of the Lost Generation, although his novels are consistently lauded and canonized as well. I’d just never known anyone who actually read him, so there wasn’t much of a conversation to join, I guess. After reading this first third of the trilogy I can see why Dos Passos is still relevant. So much of his pro-labor and socialist message is probably lost to most contemporary readers–it’s similar to reading The Jungle at times–but the level of energy and innovation is very high here too. Very rich, poetic, and affecting. The Rings of Saturn by W.G. Sebald. The way these conversational essays seem to be written more for effect–that your mind wanders with the flow of information, sometimes parallel to it, sometimes not–produces an interesting reading experience. I’d read about Sebald’s work a lot before I ever read it, so I kind of knew what to expect. At the same time, I’m still not really sure what to think. The Assassination of Jesse James by the Coward Robert Ford by Ron Hansen. Really enjoyed this. A lot more than I thought I would, frankly. I met Ron when he visited Creighton University this fall, which is what prompted me to finally pull this off my “To Read” book shelf. The psychological depth of the novel is pretty astounding. Plenty of shoot-outs and train robberies too, of course. The Castle by Franz Kafka. A monster of an unfinished novel. I was compelled to read this after watching Michael Haneke’s film adaptation, and really enjoyed both quite a lot. The idea of reading an unfinished novel always intrigues me, particularly ones of this class that could just as accurately be called “unfinishable” novels. It isn’t so much that the plot line is incomplete, more that the story could never finish. It’s not like K.’s going to find some sort of victory in the end, or defeat for that matter. The novel follows his string of embarrassments and slight advancements and eventually stops as he reaches the end of his inertia. I kind of wondered if the novel wasn’t finished after all. Hide Island by Richard Burgin. A review I wrote of this collection of short stories will be appearing in Prairie Schooner‘s Briefly Noted online book review, probably in February. 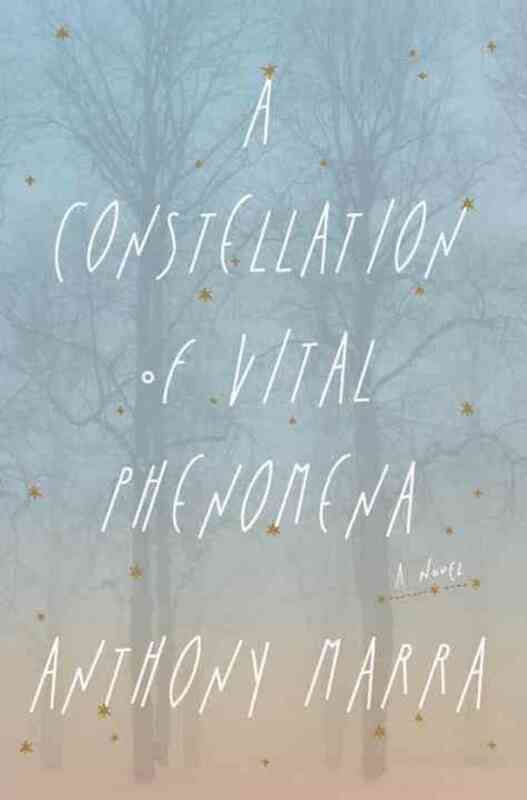 A Constellation of Vital Phenomena by Anthony Marra. This has been pretty engaging so far, although the writing sometimes comes off as haphazard, particularly when it comes to POV. Maybe haphazard isn’t the right word, superfluous?, but I often question some of the strategies Marra uses here to tell the story. A good book nonetheless. I can certainly see why it made so many Best of lists this year, mostly because of the story of an orphaned little girl and two eccentric doctors in war-torn Chechnya is so remarkable. An American Tragedy by Theodore Dreiser. I’ve been reading this off and on for a few years now. I come across some criticism about Dreiser a while ago that lumped him into a group of American novelists who have novels regarded as classics (Dreiser has two, of course, with Sister Carrie also showing impressive staying power) even though the writing itself isn’t really all that remarkable. I’d tend to agree with the assessment. Nobody is going to confuse Dreiser with Hemingway or Fitzgerald, as far as style and form go, although the story of his novels really is so quintessentially American (for its time, place, and class) that it’s hard to dispute the status of his novels as classics. Steinbeck was the other novelists lumped into this category, which seems to fit as well. The Third Book about Achim by Uwe Johnson. The follow-up novel to Speculations about Jakob. These books can be difficult to locate, but I happened to find one at the always excellent Jackson Street Booksellers and was lucky enough to get the other from Nicole for Christmas.